Serving Your Central Coast Real Estate Needs! – it's a fantastic place to live! 3/25/2019 SOLD for List Price in only ONE week! View our Central Coast Photo Tour! Understand local micro-climates and land use! Hospitable, no-pressure business relationship! Client Reviews! Helping You Find Exactly What You Are Looking For. From country estates to seaside mansions, and from downtown condos to secluded forest cabins, my goal is to help you find your dream home - from start to finish. JUST SOLD - for List Price in only ONE week! Classic Cambria with white-water and woodland views! One of the rare properties alongside beautiful Fiscalini Ranch Preserve with glorious unobstructed ocean views from Marine Terrace to Piedras Blancas Lighthouse. From living and dining room, kitchen and deck, watch seals snooze in Otter Cove and observe seasonal whale migrations. San Luis Obispo County’s Central Coast. A true community shouldn't be gated or fenced in – it should seamlessly meld into its surroundings. 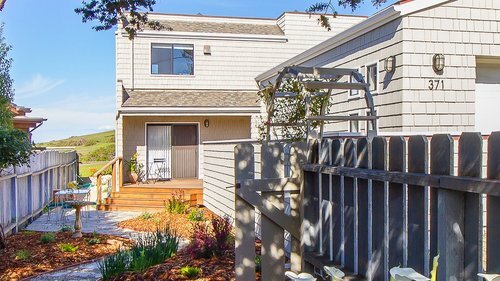 The ranchland, seascapes and forested hillsides found along our Central Coast offer this very thing. The neighborhoods and views are a must see! LOS OSOS, PASO ROBLES, TEMPELTON, ATASCADERO, CAYUCOS, HARMONY, CAMBRIA, SAN SIMEON and more.